Mixing a famous 'Peacoat Navy' with touches of red, Arsenal and PUMA have released the club's away kit for the forthcoming 2018/19 season. The kit has been designed to capture the desire, rhythm, and passion of the Arsenal fans who clock up the miles supporting The Arsenal on the road. Arsenal fans and kit enthusiasts alike will be familiar with the ‘Peacoat Navy’ used as the baseline colour for the shirt, a colour inherent throughout the clubs DNA since their 1908 away kit and mirrored in their current crest. 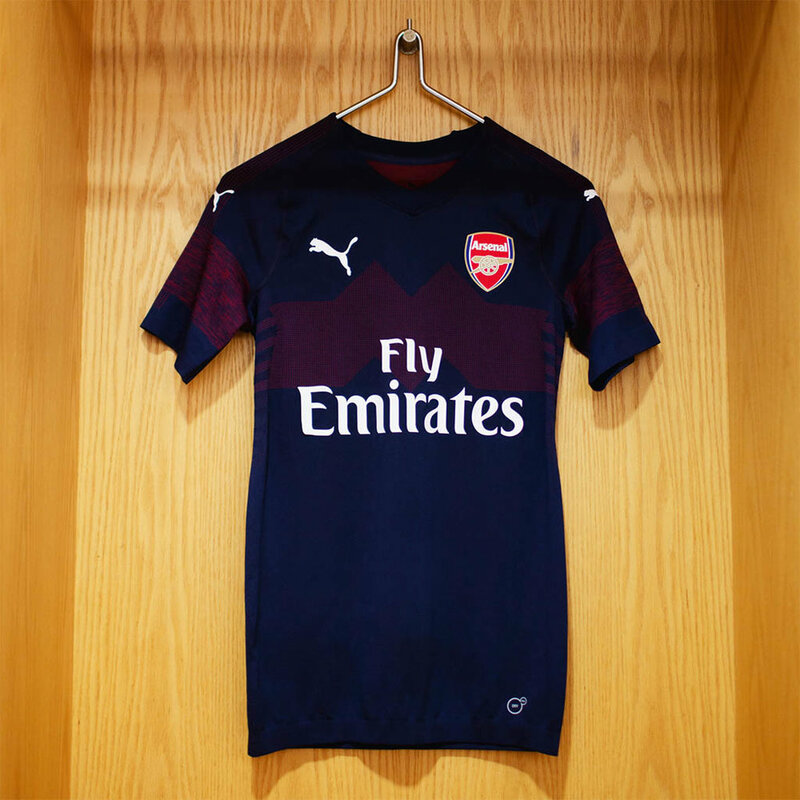 For the 2018/19 Arsenal away kit, the pulse design is engineered into the evoKNIT performance fabric of the shirt. Running across the chest and onto the sleeves, the subtle graphic is a nod to the famous WM formation introduced in the 1930’s by Arsenal legend Herbert Chapman. 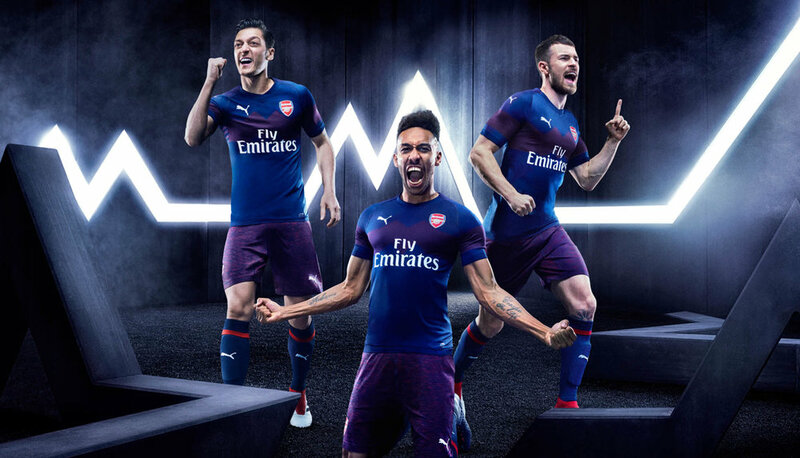 The accompanying shorts come in a heather effect created by mixing both the ‘Peacoat Navy’ of the away shirt with the red of the home shirt, whilst the socks match the shirts colour, adding a red band at the top and ARSENAL spelt out on the back.